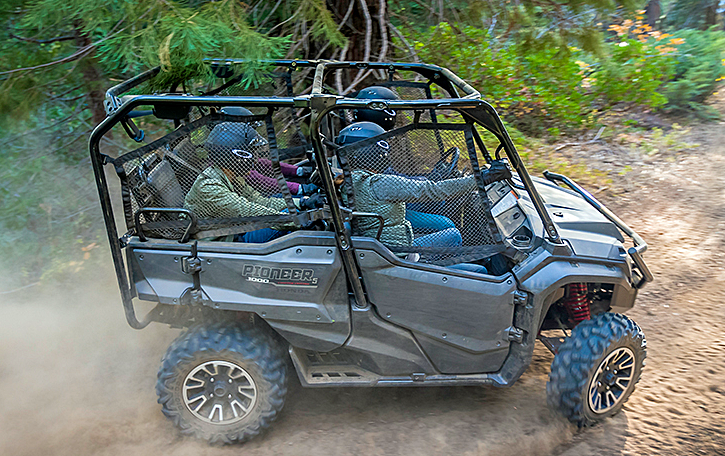 The Honda Side by Side model line continues to expand with the introduction of the pure sport Talon X and Talon R.
The shorter and narrower X model is aimed at the driver that enjoys tighter trails. The R is for those that like higher speeds and more open spaces. It's longer, wider, and has more suspension travel. Honda will also offer more than 40 accessories so it will be easy to personalize your Talon. The first Honda Side by Side model, the Big Red, wasn't a big seller. But Honda has since refocused and released a full line of Pioneer side by side models. 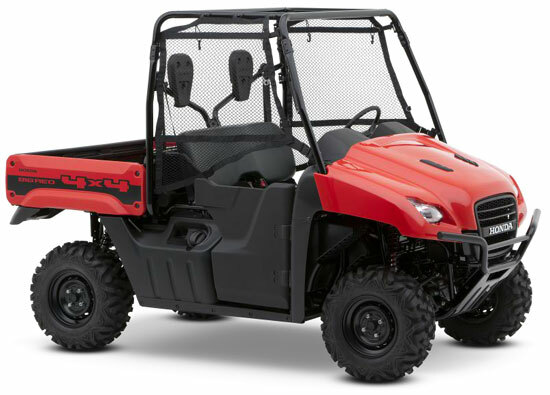 From the entry level Pioneer 500 to the newest five seat Pioneer 1000-5 LE with Honda's most advanced technology. We'll bring you the latest info on the newest models, plus coverage of the original Big Red. 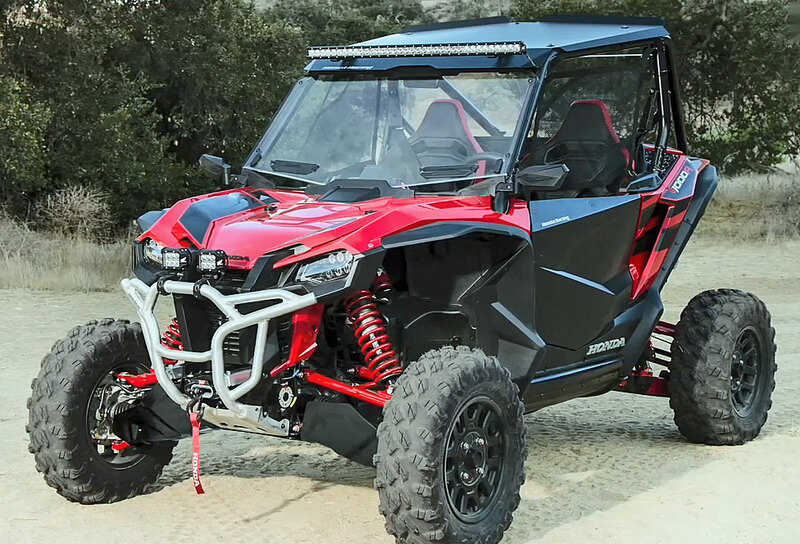 2019 Honda Talon Model Overview - Details on the all new Talon 1000 X and Talon 1000 R. Full coverage of both new models with plenty of photos, key features, video, specs, and more. Stay up to date with all the 2019 Pioneer models with this exclusive dealer video below. Honda Pioneer 500 Review - Full, detailed review of the smallest Pioneer. Loaded with info, photos, specs, and more. Learn about all the pros and a few cons, along with our buying recommendation. 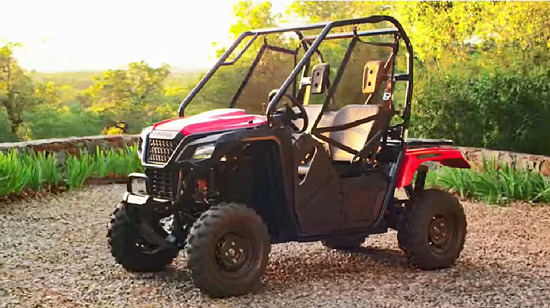 Honda Pioneer 700 and 700-4 Review - Full review of the original Pioneer models. Complete with lots of photos, specs, and more info. Based on the running gear from the Big Red, everything else about the Pioneer was new. While Honda's first attempt at a side by side, the Big Red, wasn't a huge sales success, they couldn't build enough Pioneers to keep up with demand. 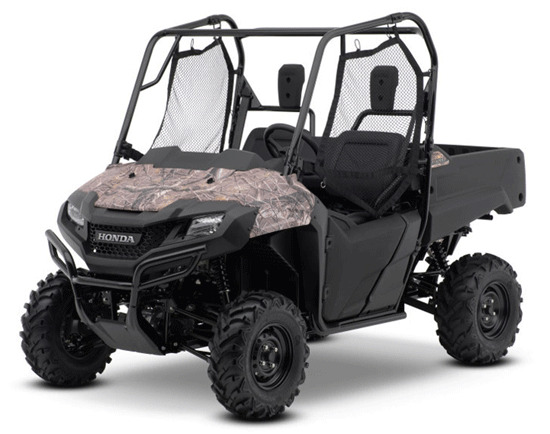 2019 Honda Pioneer 1000 and 1000-5 Review - Complete review of all the Pioneer 1000 and 1000-5 models with prices and options on each of the models. Detailed explanation of the many technological features of this most advanced of all the Pioneer offerings. Includes video of the sophisticated I-4wd system and how it works. Also covers the unique Hill Assist feature and its' advantages. Honda Big Red Side by Side - Full review of the original Side by Side from Honda. Back then it was called an "MUV", multi-purpose utility vehicle. That tells you up front what the focus was for this first attempt at a UTV by Honda.